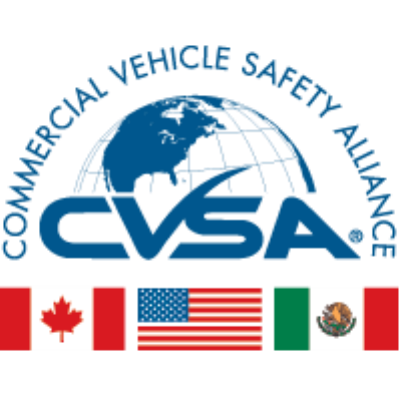 The Commercial Vehicle Safety Alliance’s (CVSA) new 2019 North American standard out-of-service criteria is now in effect. As of Monday, April 1 the the 2019 out-of-service criteria replaces and supersedes all previous versions. The North American Standard Out-of-Service Criteria is the pass-fail criteria for roadside safety inspections and its purpose is to identify critical safety violations for correction or repair. Amendment to Part I, Item 4. Driver Medical/Physical Requirements, a. Skill Performance Evaluation Certificate by modifying the language. A driver who possesses a valid Skill Performance Evaluation (SPE) but is not complying with the SPE requirements should be placed out of service. Amendment to Part II, Policy Statement regarding how to deal with expired CVSA decals. It was determined that removing old decals before applying a new one is most appropriate. Amendment to Part II, Item 1. Brake Systems, g. Brake Drums and Rotors (Discs), (2) by adding language and a picture for cracks in structural supports of a brake rotor. If there are cracks through the vents in rotors, a collapse of the rotor is imminent; therefore, the vehicle should be placed out of service. Amendment to Part II, Item 2. Cargo Securement, a. through f. by adding subheadings to each out-of-service condition. Subheadings were added to the Cargo Securement section of the out-of-service criteria to provide uniformity with the rest if the criteria and to make it easier to distinguish between subsections. Amendent to Part II, Item 2. Cargo Securement, Tiedown Defect Table by adding defective condition language for the Doleco USA Textile Link Tiedown Assembly. Amendment to Part II, Item 4. Driveline/Driveshaft, b. Universal Join, (3) by adding a bearing strap to the out-of-service condition. A bearing strap was added to the out-of-service criteria and a descriptive label was added to the current picture of a bearing strap to help identify and clarify the component. Addition to Part II, adding new item 5. Driver’s Seat (Missing), a. to provide out-of-service condition for a missing driver’s seat. Drivers using a temporary seat rather than a permanent seat that is secured to the vehicle in a workmanlike manner was added to the out-of-service criteria. Amended to Part II, Item 6. Exhaust Systems, a. through d. by adding subheadings to each out-of-service condition. Subheadings were added to the Exhaust Systems section of the out-of-service criteria to provide uniformity with the rest of the criteria to make it easier to distinguish between subsections. Amendment to Part II, Item 7. Frames, by adding subsection (5) to the existing note. It was determined that subsection (5) should not pertain to monocoque style frames. Amendment to Part II, Item 10. Steering Mechanisms, h. Tie Rods and Drag Links, (3) to add an out-of-service condition for a non-manufactured hole. A non-manufactured hole in a drag link should be placed out of service. The North American Standard Out-of-Service Criteria is updated annually, effective April 1 of each year, with the release of that year’s edition of the handbook. 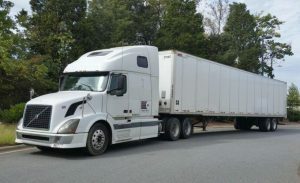 The “North American Standard Out-of-Service Criteria Handbook and Pictorial” identifies critical vehicle inspection items and details the criteria that can prohibit a motor carrier or driver from operating a commercial motor vehicle for a specified period of time or until the condition is corrected. Print and electronic PDF versions of the 2019 edition of the handbook are available for purchase through the CVSA online store.